Concord Point Lighthouse is located in Havre de Grace, MD. The structure marks the junction of the Susquehanna River and the northern tip of the Chesapeake Bay. The light was decommissioned by the Coast Guard in 1975 and in the same year the Fresnel lens was stolen. 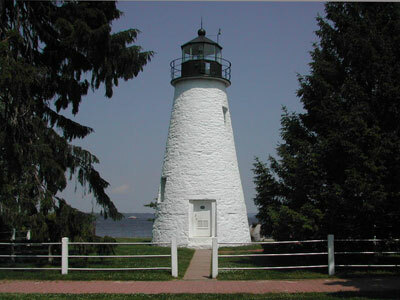 In 1979, local citizens formed the Friends of Concord Point Lighthouse and took over maintenance of the property. Concord Point Lighthouse is listed on the National Register of Historic Places.